Enterprises benefit from real-time collaboration between employees. As business trends shift to more fragmented and cloud-based working environments, these tools enable efficient project management and facilitate an easier relationship between workers from disparate geographical locations and varied teams. Breaking away from a siloed approach where parts of the process are managed by various solutions, more encompassing solutions rely on integration to enable further productivity. Demand for collaboration comes from a range of business trends, but there are still challenges holding back adoption. Collaboration tools help enterprises with common issues like breaking down knowledge silos, leveraging talent and expertise across an organization, and strengthening culture—especially across distributed teams. “Employees work more efficiently when they can easily access information, collaborate, and get work done in one place from any device,” says Anna Rosenman, senior director, product marketing, Salesforce. She says collaboration software makes it easier to obtain visibility with less effort, so a team or entire company can log in and find them. It takes the element of needing to ask someone for information—and waiting for them to give it to you—out of the equation. The other challenge is the prevalence of unstructured work. “That means those little tasks you need to do every day, that maybe don’t necessarily fall into the scope of a broader project. They are frightening for leaders, because until recently, there’s been no way of knowing how many there are, how long they take, and how much they cost the business in time, frustration, and morale,” says Jacques. 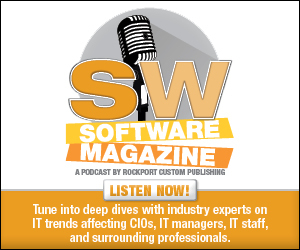 With collaboration software, you can bring process and organization to these tasks and even gain critical insights around contributor workload that can help make decisions around hiring or distribution of talent, she offers. Collaboration software helps team members become more efficient by doing things like reducing the number of emails from team members when working together on a project. “Reply all is very annoying, and with each email there may be a different version of the collaboration document—or project,” says Mark Smith, CEO, LookWithUs.com, Inc. Multiple versions means confusion and difficulty finding all the comments and suggestions from many emails. “As a result, it is not uncommon to come up with tens of versions of each with some of the changes being missed. There is a massive waste of storage with many copies of the same file,” he offers. Additionally, categorizing responses chronologically can be challenging. Smith says full comprehension of where a comment is and what it truly means rarely happens with using only text to comment. Current business trends affect the demand for collaboration tools. For instance, enterprises take advantage of the growing acceptance of the changing needs of today’s employees. Rachel Kapowitz, CEO, honey.is, says there is a focus on communication—adoption of highly engaging, user friendly tools like Asana, Slack, and Trello. She admits that there is also higher expectations for UI when it comes to work tools. Geographically dispersed teams and a mobile workforce create a demand for new collaboration tools. “Overall, frustration with what is being offered today will keep organizations searching for something better. Something that allows them to collaborate using the tools they use today socially, like images, video, text, files, and links to website content,” says Smith. “Most importantly, mobile platforms are not part of the normal collaboration workflow since most tools depend on large amounts of text. Why not use video and audio and by doing so, make mobile part of the equation?” he asks. Taylor agrees, noting that the way people work is changing, which is due to the continued reliance on digital platforms, legacy technologies are being disrupted as people feel empowered to ditch the classic nine to fives for routines and offerings they find more productive. The ubiquity of wireless connectivity and powerful devices makes virtually any environment a possible workspace for remote and distributed teams—small and large. Jacques says remote workers make a big impact on the need for collaboration tools. “You have more people than ever working from home and even some companies that are 100 percent remote with no office. For these businesses, visibility is an even bigger challenge.” She says this is where Wrike sees a high adoption of its products, the same being true for companies with multiple offices and geographically distributed teams. Change is always a challenge. It requires proper leadership and acceptance by all involved. While finding the best collaboration solution and committing to it is one step, there is a cultural element as well. Rosenman says that companies realize connecting directly with employees is the quickest path to a fully engaged team and they’re looking to new apps and technologies to create that bridge. However, she points out that many available collaboration tools are disconnected from one another. There might be a content management tool, which is disconnected from a chat tool, which is separate from an organization chart. Companies can now build their processes around technologies like social, mobile, and cloud develop apps that are connected and can solve problems quickly and easily. Another barrier to adoption is the perception that social tools are a distraction, suggests Rosenman. “Increasingly, the industry is migrating away from that misconception and recognizing the power of engagement, leveraging a feed-based communication that drives efficiency, productivity, and transparency across teams. That said, the number one driver of adoption is the use of collaboration tools by executives and leadership,” she adds. Jacques sees the issue as change management. “I think people struggle to find time to invest in managing the change the way they currently work, even though they are often willing to admit that they could make improvements,” she offers. Bad experiences in the past with clunky, difficult to use software and historically low engagement rates also hinders the adoption of today’s more modern collaboration tools, according to Kapowitz. A variety of collaboration software tools aim to help businesses embrace technology and work together in a seamless and productive manner. Here are details of collaborative tools offered by vendors quoted in this article. Honey provides companies with a go-to place for announcements, industry news, human resource policies, important files, and quick links to other tools. Specifically designed for creative teams, its client base is comprised mainly of marketing agencies, start ups, retail, and media companies. The platform is designed to be up and running in under 24 hours, and provide easy to search, team-based resource libraries. LookWithUs is a patented social collaboration and communication platform for business and personal use. For the first time, individuals and groups can function like an onsite team to use text, voice, video, images, links, and attachments naturally, while collaborating on projects. LookWithUs offers users features for accessing and co-working on the same file, plus social communication tools, in a single auditable project. Quip is designed to make work more simple and help reduce email traffic. With Quip, everyone collaborates on the documents in the document, whether they’re working on a team project list or a tracking system in spreadsheets, or brainstorming whiteboards for design teams, there’s no separate email traffic thread. Quip identifies content and communication by putting documents, spreadsheets, chart, edits, and comments in the exact same spot. It’s a next generation way to work together. Salesforce helps connect teams to the people, content, and intelligent apps and business processes they need to be productive. Teams are empowered to get answers faster through relevant topics, knowledge articles, and Q&A. Human resources and IT employees file fewer tickets and resolve tickets faster, lowering costs and increasing employee satisfaction. Salesforce Employee Communities provides a single hub for employees to ask questions, log cases, search the knowledge base, and collaborate with others. Built on the Salesforce I platform, it provides a fully branded, scalable, mobile-friendly way to add additional custom apps like health and wellness or compensation and rewards. Wrike is a collaborative work management software that has collaboration on documents and creative assets baked into the core. The solution offers features like proofing for images and videos, integrations with Adobe Creative Suite, and version tracking for Microsoft Office files to ensure that no matter what is created, team members have tools to share, collaborate, and move towards completion in an organized fashion. It features timelines and workload tools that help with project management and detailed reports that give high-level visibility to management. The goal of these features is to save workers time and ensure they don’t need to interrupt their days to create reports, and in doing so, gives management a more up to date picture of what is happening with projects across the company than what was available in the age of email and spreadsheet project management. Managers and team members benefit from collaboration software that helps workers communicate, manage, and share content and ideas from within the office to across the globe.